The second problem is much more surprising and counterintuitive, but is just as important. The second problem is that we think way too much. Every second that we’re awake, our lives are dominated by what’s going through our minds. You may be wondering, why is thinking a problem? After all, the ability to plan ahead, to reason and time-travel in the virtual reality of our minds has given us enormous benefits as a species. It has given us science, philosophy, the arts, medicine, technology. The problem is that we can’t seem to stop thinking. We have become enslaved by thought. For much of our lives thought is our master and not our servant. Crucially, the app showed that people were less happy when their minds were wandering than when they were focused on a particular activity. And the content of their thoughts had more impact on their happiness than what they were doing. This may be because, as we all know only too well, when our minds wander we’re inclined to worry about the future and fret about the past. These are the raw materials of clinical anxiety and depression. In fact, psychologists have identified a tendency to worry and ruminate whenever there’s a downturn in our mood as a major risk factor for depression. They call it cognitive reactivity. We have this deep-seated but mistaken belief that constantly thinking about problems and difficult emotions will improve our chances of finding a solution, whereas it can actually make things worse and leads to a whole lot more suffering. So that’s the second problem. Too much thinking. About the wrong things. At the wrong times. Ideally thought should be used as required like any tool – like a hammer, or a chisel, or a mobile phone for that matter. Used appropriately and then laid aside. Of course it’s easier said than done. We can’t seem to help ourselves. So our first problem concerns those two biological imperatives of pleasure and pain, and the suffering they cause us. But the second problem is thinking way too much, about the wrong kinds of things. And of course the two problems feed off each other, because there are two components of any kind of suffering – there’s the physical pain, the sensation of fear, craving, loss and so on. And then there’s how we think about it. Our mental reaction to it. It’s certainly not easy being human! Two and a half thousand years ago in a north-eastern region of Ancient India, a 29-year-old human called Siddhartha Gautama had reached exactly this conclusion. He was a prince living in luxury in a magnificent palace, with a loving wife and a young son, plentiful food, beautiful clothes, musicians and dancing girls performing for his entertainment. But he came to the conclusion that none of this would ever be enough. Pleasures never last. As a creature of biology subject to sickness, ageing and death – all the while carrying around his sophisticated but flawed human mind – Siddhartha realised he was never going to experience lasting peace and contentment. And he valued these above everything else. Above all the passing pleasures of his pampered existence. But instead of pretending that these twin problems of human existence are not there – which is what most of us do most of the time – he set off on a quest to find a solution. He snuck out of the palace one night and became a wandering ascetic, living in the forest on nothing but his wits and the generosity of others. He learned how to meditate from two famous yogis. And for several years he tried all sorts of extreme physical disciplines that were said to lead to enlightenment, such as asphyxiation and starvation. We’re told that at one time he even slept on a bed of nails. Well, he did discover the secret to enlightenment that night, or so the story goes, which is why we have come to know him as the Buddha, which means literally “the awakened one”. Siddhartha, the Buddha, passed on his formula for transcending human suffering to his followers. Buddhists still use it today. Put very simply, it’s based around a type of meditation designed to foster greater mindfulness, which is the polar opposite of the mind-wandering revealed by those two 21st century Harvard psychologists and their iPhone app. Mindfulness involves trying to live in the present moment with an attitude of non-judgmental, compassionate, open acceptance of every mental and physical experience. Especially the unpleasant ones. The idea is that when unwanted thoughts or strong emotions arise in your mind, you neither cling to them or push them away. You simply watch them come and go. You allow them to arise and cease of their own accord. As Siddhartha put it himself in a colourful analogy, the idea is to stop throwing more mental fuel on the fires of suffering. If we stop feeding the flames with all our over-thinking, he claimed, the fires eventually burn themselves out and we discover the perfect peace and contentment that we’re all looking for. I should point out at this point that I haven’t come to Brainwash to convert anyone to Buddhism. Perish the thought. As you may know, there are strong parallels with the Buddha’s teaching in Hinduism, and in mystical branches of Christianity, Judaism and Islam. And mindfulness, as it is practised by many people in the West today, is totally secular. So this isn’t about any particular religion. For myself, I’m much more interested in the universal psychological truths discovered by spiritual seekers down the ages, which are now being put to the test by 21st century psychology and neuroscience. The extraordinary thing about mindfulness – this attitude of mind discovered by a half-starved Indian ascetic two a half thousand years ago – is that the science now suggests it might actually work. We can even start to see how it might change the brain for the better, helping us to become more calm and contented, and less prone to mental illness. This transition from ancient Buddhist practice to modern clinical practice really started in 1979. It started when a doctor at the University of Massachusetts Medical School called Jon Kabat-Zinn was inspired by what he’d learned from Zen Buddhist teachers about cultivating a healthy mind. In particular, he had learned how to transcend the pain of sitting in meditation for hours on end. He was inspired to create a secular mindfulness programme to help people cope with stress and chronic pain. He called it mindfulness-based stress reduction or MBSR. Over the next three and a half decades, MBSR proved its worth in clinical trials for reducing stress, anxiety and the chronic pain associated with conditions such as fibromyalgia and arthritis. And in the 1990s, psychiatrists combined MBSR with cognitive behavioural therapy to create a programme for preventing relapse in people who are particularly prone to depression. They called it mindfulness-based cognitive therapy or MBCT. And more recently mindfulness programmes have been created to treat drug addiction and to help people quit smoking, with very promising early results from clinical trials. So it does seem that many of the different kinds of suffering to which we are prey as human beings with big brains – not least stress, anxiety, depression, addiction and chronic pain – can be alleviated, at least to an extent, by developing an attitude of greater mindfulness: this capacity to live more in the present, with a non-judgmental, accepting attitude towards what’s happening both around you and inside your head. Just to give you a flavour of the scientific work that’s been done, the most definitive trial of any mindfulness therapy to date was published last year in The Lancet. It was a clinical trial of mindfulness-based cognitive therapy or MBCT as an alternative to antidepressants for preventing relapse in people who are particularly prone to depression. I should say first that lots of people who are vulnerable to depression, who take antidepressants in order to stay well, would leap at the chance to stop taking the drugs if there were an effective, proven alternative. This is because the drugs have certain challenging side effects such as agitation, weight gain and sexual dysfunction. So the outcome of this clinical trial was going to be quite a big deal for them. It was based in the UK and compared 212 patients who continued to take their antidepressant medication with 212 patients who took the MBCT course, but steadily reduced their antidepressant dose to zero. All the patients were monitored for a total of two years to see how they managed. The results were clearcut – they showed that mindfulness was just as effective as drugs for preventing further episodes of depression. For sure, no treatment is a panacea. But this is great news for people who are vulnerable to depression, currently well, but who nevertheless want to try an alternative to antidepressant drugs in order to stay well. Whereas drugs will help people to get well, learning mindfulness skills can help them to stay well. It’s certainly something patients can talk to their doctor about trying. But there was more good news, because drilling down more deeply into the data from this trial, the researchers found that mindfulness therapy worked significantly better than antidepressants for patients who came from the most challenging backgrounds. These were people who had suffered the most abuse in their childhood. They had experienced more episodes of depression in the past and were more likely to have attempted suicide. In these people, the improvement in the risk of relapse compared with continued drug treatment was about 10 percentage points. So if these results can be generalised, it looks as though people who have suffered most during their lifetime stand to benefit most from developing mindfulness skills. They learn to observe the bodily sensations associated with a downturn in their mood without making things worse by worrying and obsessing over it. And by cutting out all that excessive thought, they discover a way to transcend their suffering. When I spoke last year to one of the people who created MBCT, a psychiatrist called Zindel Segal from the University of Toronto in Canada, he described this change in perspective in a particularly graphic way. He said that by practising mindfulness, people who are prone to depression – and indeed all of us – can learn to stand on the edge of the whirlpool of their emotions and simply watch it go round, rather than disappearing into it. Thinking too much – allowing ourselves to be sucked into this mental whirlpool – is a habit we all fall into as we grow up, starting from our teenage years. Perhaps unsurprisingly, this is the time in people’s lives when mental illnesses start to appear. When I first began to look into this field, I was amazed to find that neuroscientists have identified a network of structures in the brain that are directly responsible for this mind-wandering style of thought. It’s called the default mode network. When people have their brains scanned by MRI, the activity in this network is visibly decreased in those who meditate and practise mindfulness. In fact, neuroscientists can see physical changes in the key hub of the network, known as the posterior cingulate cortex or PCC for short. This part of the brain’s cortex is actually thinner in people who have been practising meditation and mindfulness for as little as eight weeks. At the same time, parts of their cortex that are known to be involved in interoception or conscious awareness of bodily sensations are thicker. And parts of their cortex that are involved in metacognition – which is the ability to become aware of your own thought processes, in other words mindfulness – these areas are also thicker in people who meditate and practise mindfulness. These structural changes to the brain make perfect sense. Meditation involves interrupting the streams of thoughts by focusing on the breath, or a mantra, or a bodily movement as in yoga, or scanning the sensations in the body. You gently bring back your attention whenever you notice that your mind has wandered. That’s how, through meditation, people learn to gain a different perspective on their thoughts, feelings and emotions. So Siddhartha Gautama, also known as the Buddha, discovered this technique that we now call mindfulness for transcending the suffering that is part and parcel of being a creature of biology with an unusually large, sophisticated brain. But in the process, he realised something else which is much stranger and harder to grasp. As he sat meditating under a tree that night two and half thousand years ago, he discovered that his sense of self or ego was nothing more than an illusion created by his mind. And with that realisation, he felt a sense of liberation. To put that another way, the barrier that had divided him from his fellow human beings, from nature and the universe had suddenly gone. He had exchanged egotism for the well known spiritual experience of being at one with everything. Personally, I believe that this realisation about the illusory nature of the self or ego is at the heart of any kind of true spiritual enlightenment. Surely science can’t explain such a profoundly spiritual revelation? Well actually it can and it has. Neuroscientists have now found some of the parts of the brain where our sense of self or ego is generated. If you think of the two hemispheres of your brain like my two hands here – if you were to prise them apart very gently, a bit like opening up a sandwich to look at the filling, you’d be looking at the principal ego-generating parts of your brain. So in a sense, your brain is an ego sandwich. Those ego-generating parts, the filling as it were, are known as the cortical midline structures. At the front where my fingers are, you’ve got the medial prefrontal cortices, and further back towards the centre of my palms, you’ve got the posterior cingulate cortices or PCC. As I’ve already mentioned, the PCC is the hub of a much wider network of structures known as the default mode network – the interconnected regions responsible for mind-wandering, or in other words, self-referential thought. This is the part of the cortex that appears to shrink over the years as people practise mindfulness and meditation. So what Siddhartha had effectively done was to change his brain in such a way that he transcended his ego. It’s important to emphasise that he wasn’t denying the sense of selfhood. What he discovered was that the self is not a solid, unchanging, indivisible entity. We can each see this simply by reflecting on the way our own sense of selfhood change throughout the day. Our sense of self might depend on whether we’ve had our morning coffee, whether we’ve eaten, whether we’ve had a beer, what we’re doing, who we’re with, what we happen to be talking about – or perhaps more importantly, what we’re thinking about. Our feeling of selfhood never stays the same for more than a few minutes or even seconds at a time. What neuroscience has been showing us is that the self isn’t a single entity in a single location in the brain. As a result, the brain is often divided against itself. It’s more like a team of rival operators, each with different ideas about how we should behave and how we should feel. It’s not unlike the five operators sitting at the controls inside the girl’s head in the wonderful Disney Pixar animation Inside Out. In case you haven’t been lucky enough to see it, in the film these operators are called Joy, Sadness, Fear, Disgust and Anger. The five basic human emotions. Each of the five operators has different ideas about how the girl should feel and behave. Sometimes Joy is in control. Sometimes it’s Anger or Sadness. So we tell ourselves that the self is a single, undivided, unchanging entity, but that’s only because we don’t notice the constant negotiations going on behind the scenes. Amazingly, we now know that each hemisphere of the brain is capable of having its own perceptions, personality and opinions. But this only becomes apparent when the channel of communication between the two hemispheres, known as the corpus callosum, is severed in an operation to treat epilepsy. These so-called “split brain patients” reveal that one side of the brain can perceive and interact with an object perfectly normally without the other side of the brain even being aware that the object is there. The two halves of the brain in these patients can even have different attitudes about something like healthy lifestyle choices. So for example in a heavy smoker who had this operation, one half of her brain was strongly motivated to give up while the other half was still hooked. How do we know this? Well, the right hemisphere controls the left side of the body while the left hemisphere controls the right side. And one time her doctors observed her right hand take out a cigarette only for the other hand grabbed it and threw it away. “I guess ‘he’ doesn’t want me to smoke that cigarette,” she said. So it seems we are many selves, not one. It’s just that normally the brain tells us we have a single, unchanging self. Me, my self, the owner of all my stuff and opinions. This is an illusion, a simulation created in part by the brain’s default mode network. When we identify with the contents of our minds, it creates this sense of a single, unified self on an island separated from everything and everyone else. According to Siddhartha Gautama, the Buddha, this self, this ego feeling, is the cause of much human suffering. He discovered that the mind can function perfectly well without this kind of self-referential thought. You don’t have to be thinking all the time. To most people, myself included, that’s an extraordinary revelation. If you stop identifying with your thoughts, with your feelings and emotions – simply letting them come and go – consciousness still goes on. In fact consciousness is enhanced. You become more aware, more awake, more alive to the present moment with all its possibilities and wonder. This is what mystics from all religions have been trying to tell us for millennia. These are people who in order to transcend the ego have subjected themselves to physical and mental disciplines such as prayer, fasting and sensory deprivation. Or in the case of shamans, chemically through psychedelics such as magic mushrooms and ayahuasca. No matter what the technique, though, the objective is always the same: to transcend their ego. Even if just for a few hours. What Siddhartha discovered that night under a tree is that we don’t have to starve or torture ourselves or take psychedelic drugs to transcend our ego. Which is wonderful news. We can do it by cultivating greater mindfulness. To conclude I’d like to quote one of the most inspiring people I came across during my research for this book. He was a Thai monk called Ajahn Chah, who in the 1970s was among the first people to bring the concept of mindfulness to the west. Everyone who came into contact with Ajahn Chah, both westerners and Thais, said he was one of the happiest people they had ever known. He was a very straightforward, humble man who had a gift for using everyday language to teach people about mindfulness. I don’t know any better way to sum up the teachings of the Buddha – and indirectly the findings of modern science – than to quote some words of advice Ajahn Chah gave to a group of novice monks in Thailand. “Try to keep your mind in the present. Whatever there is that arises in the mind, just watch it. Let go of it. Don’t even wish to be rid of thoughts. Then the mind will reach its natural state. No discriminating between good and bad, hot and cold, fast and slow. No me and no you. No self at all. Just what there is. This is a great summary! I’m saving this on my home screen to realign my brain when needed. Thank you for this and your very helpful book! Glad you like it! I reckon the quote from Ajahn Chah I gave at the end is the Buddha’s teaching in a nutshell. Great transcript and I did also read your book with great interest, it got me thinking. In summary the big problem for happiness is that people think too much, where they are stuck in their own head about half of their time awake due to the default network that evolved with us as humans. Now my question is how much this mind wandering is a bad thing for our happiness. Of course when you’re in a stressed period the mind wandering causes a lot of negative feelings. But personally I have always liked to stare out of windows and contemplate. My mind wanders all the time; something in the landscapes triggers a memory, observing an object makes me think how it works which triggers some other idea or memory. This stream of consciousness doesn’t make me feel anxious or causes any negative emotions (on the condition that I’m in a good mood), but makes me feel comfortable. This process sounds very similar to the description of the brain’s default network in your book which is described as a source of suffering. So I was wondering what your view is on mind wandering as a positive thing? Hi Erik, you make a very important point. There’s nothing intrinsically good or bad about mind-wandering so long as you’re aware when it’s happening and can drop it as required. Like you I’ve always enjoyed daydreaming for its own sake. I can mentally replay a beautiful piece of music, for example, but at other times I catch my mind endlessly repeating a trashy jingle. Mind-wandering is a terrific source of ideas, plans and inspiration of course – the default mode network is our personal virtual-reality simulator – but as you say, the problem is being unable to stop ourselves worrying or ruminating when the going gets tough. So learning to step back and watch the mind do its thing, then let it all go, is a terrifically valuable skill to cultivate. Hi James, that makes sense. Thanks for taking the time to respond! Wonderful! A perfect read to start the day. Hope you are well. I just finished your book, “Siddhartha’s Brain” and highly recommend it. Thank you for writing it!! 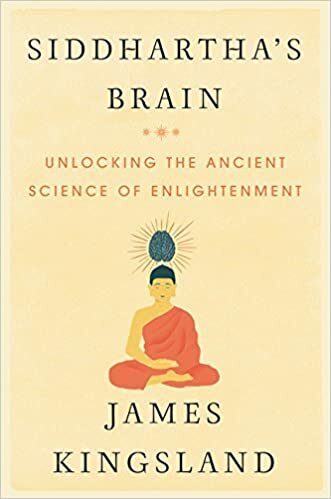 I published a short review on my blog (https://www.falconteachings.com/single-post/2017/06/04/What-Would-Buddhas-Brain-Look-Like). As I explain in the blog post, though there is MUCH to love about the book, I had two small quibbles. 1) It is missing the overarching theory of self and non-self (and non attachment to self) that Buddha realized is so crucial to achieving the optimal state of well-being (or what in the old days they used to call enlightenment) and 2) I seriously doubt whether any of today’s meditators brains (even ones as advanced as have been studied) would like like Buddha’s. Hi Zebediah, thanks for your kind comments about the book, both here and in your blogpost. I’m so glad you enjoyed it. You raise two very interesting quibbles. Re. the Buddhist theory of self and non-self, I agree this is of crucial importance to the whole business of spiritual enlightenment, which is why I devoted a chapter to it (chapter 5, The Man Who Disappeared). I wanted to show that neuroscience (and indeed personal experience) supports the Buddha’s proposition that what we call our “self” isn’t a solid, indivisible, unchanging entity. Maybe what I failed to emphasise enough was the importance of non-attachment to self in the Buddhist conception of enlightenment – that we really do need to “get over our selves” to be liberated from suffering. On your proposal that the Buddha’s brain must have differed from that of a modern, highly practised and fully enlightened person – however you define that – I guess we will never know one way or the other, but my inclination is to regard him as a regular human being, albeit with remarkable qualities and attainments. Just as scientists studying Einstein’s brain have failed to identify any unique anatomical features to explain his genius, so I reckon a neuroscientist scanning Siddhartha Gautama’s brain would fail to find anything that distinguished it from the brain of someone of a similar age who had been practising meditation and following the Noble Eightfold Path just as diligently for just as long. I would argue that anyone with sufficient time and determined practice could uncover their “Buddha nature” and that it would be no different from his. What probably did set him apart in purely human terms (in a similar way exceptional individuals such as Churchill or Lincoln were set apart in their own times) were attributes like his charisma, teaching abilities and foresight in establishing a democratic organisation and set of basic principles (the Sangha and the Dhamma) that would last for millennia. What a thoughtful reply! Thank you for taking the time to do so. Once again, just want to say again how much I enjoyed reading, and re-reading!, your book. I have been thinking more about the Buddha’s brain question and I still think it would have looked very different. Perhaps the density of gray matter would be noticeably increased (perhaps throughout the brain or in places like Area 10?). I am no scientist but wouldn’t we be able to look at things like the presence of amyloid plaques associated with alzheimers and dementia compared to average? Or at telomere length for someone of his age? I also think the Buddha’s brain would have been different somehow due to his likely disassociation from the phenomenal world. I think of the work of Mariano Sigman or Lisa Feldman Barrett (both of whom you probably know but if not would likely enjoy), especially around how our brains create instances of emotion or forms through a collection of electrical and chemical patterns that we group and name in order to perceive and perform in the world. While clearly Buddha could activate this kind of perception it seems to me that he had more than mastered the ability to switch that off and experience the reality of the senses without intermediation of thought and the conventions of our culture (not to mention experiencing the non-sensory elements of consciousness). Now perhaps that would only be visible in the chemical and electrical activity of the living brain itself rather than in the physical brain structure. But surely for so advanced a master it would be visible. People like Einstein are smart, very smart. But there are and have been many many people that are super smart. Being super smart is a sign of an advanced development of our logical processes. With people like Buddha, I think we’re talking about something so profoundly advanced that it is almost a different species of human. I would put only a very few humans into that category: maybe just Jesus and Krishna and Lao Tzu (assuming they were real people) and perhaps a few hundred (?) others throughout all of history. I’m talking about the sorts of differences we see between H. Neanderthalensis and H. Sapiens. Hi Zebediah, it’s a fascinating thought experiment! To transcend completely the deep biological imperatives of the self, greed, anger and so on is pretty mind-blowing, almost worthy of a new species. Psychologically, the difference in these very few humans would of course be profound, but who knows whether it would be discernible on an MRI scan? It might be apparent only at the subtle level of synaptic connections rather than grosser features such as grey matter density and functional connectivity. I haven’t read Barrett or Sigman but I really should. I’m particularly intrigued by Sigman’s fondness for relating neuroscience to Jorge Luis Borges stories! Sadly, it is just a thought experiment! And as you suggest, the real differences might only be properly visible at the level of synaptic activity. « Surely there’s a middle way between drugs and psychotherapy for treating mental illness?